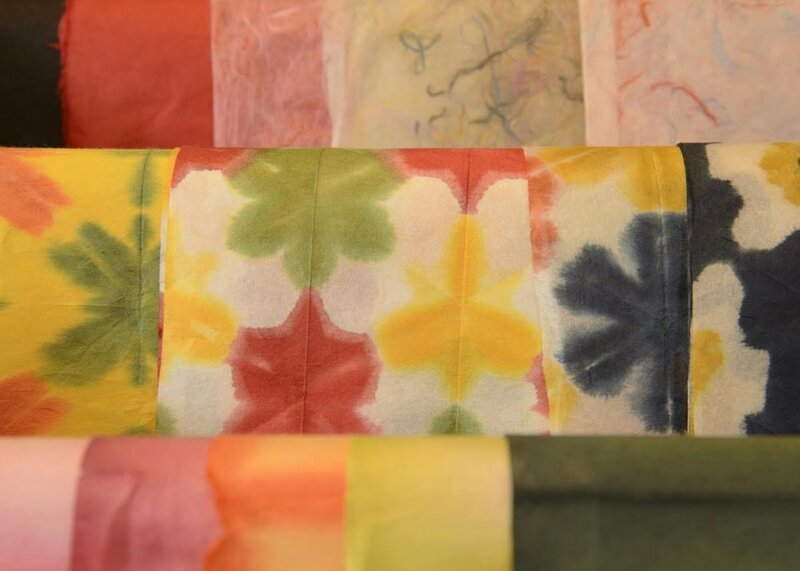 Washi paper is one of of Japan’s most fundamental, and often overlooked, artistic products. During 1,300 years of production it has formed the backbone of many other Japanese artforms. In fact washi paper is so ingrained in Japanese culture, there are literally towns build around washi paper making. In the most basic of terms, washi paper simply means traditional Japanese paper, wa (和) meaning Japanese and shi (紙) meaning paper. From its eclectic history, through its many uses, to the key travel destinations in Japan, there are many fascinating things to learn and a lot to be said about this richly historic and still relevant art. Here we’ll cover everything you need to know about washi paper. Strap yourself in, because it’s a deceptively diverse world. 1. What is Washi Paper? 2. How is Washi Paper made? 3. What is Washi Used For? 4. Where to See Washi Paper Being Made? 5. Where to Buy Washi Paper? 6. Where to Find Out More About Washi Paper? Writing a Poem, Woodblock Print by Utagawa Kunisada, 1859. Although today it’s an iconically Japanese cultural element, the roots of washi paper production can be traced back to China. In around 610 CE the technique of handmaking paper was brought to Japan by Buddhist monks who used it to write sacred sutras. To add another international twist to washi paper’s origins, the Nihon Shoki, also known as The Chronicles of Japan, one of the oldest books on classical Japanese history (written in 720), claims that this Chinese influence was brought to the country via the Korean Buddhist priest Doncho, who helpfully introduced techniques for making ink at the same time. 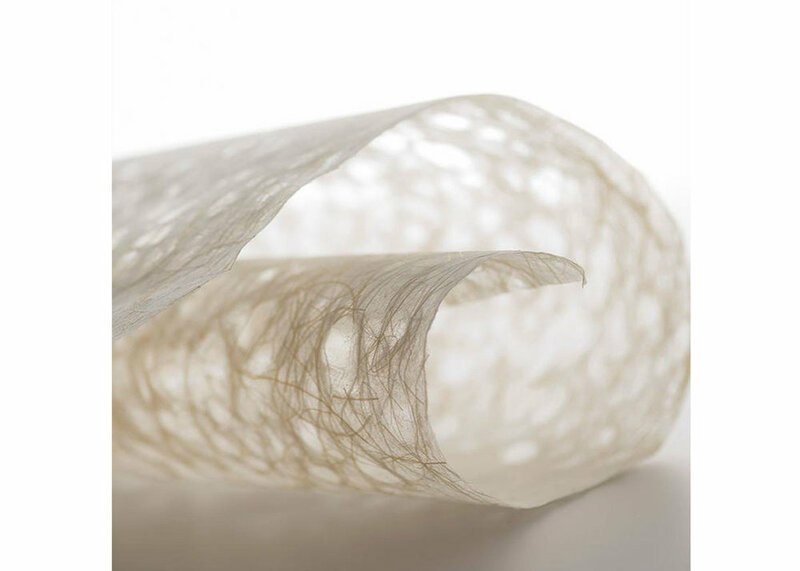 As it has done so well throughout history, Japan adopted this paper-making method and improved it, adding more textile-type materials to the paper production process such as kozo (mulberry) and gampi fibers as a way to strengthen the paper, extend its longevity, and increase its versatility. Because Japanese paper-making depended on natural materials, the production of washi paper, like other agricultural activities, became a seasonal activity. Winter was typically considered the best paper-making season as the weather was too cold for farmers to be out in their fields doing other work. Washi manufacturers were also able to take advantage of winter ice, which they thawed to ensure that the water they used was free from impurities and didn’t discolor the paper. This style of handmade paper stayed in the mainstream right up until the Meiji Period (1868 – 1912) when Japan went through a process of westernization. With the influence from the west came what was known as yoshi paper; essentially mass-produced, machine-made paper. From this period washi started to take a bit of a backseat, and its role was relegated from everyday use to more artisanal and traditional purposes. How is Washi Paper made? Ideally the perfect time of the year to make washi is the dead of winter, when water is naturally frozen and free from impurities, offering the freshest, most natural ingredients for paper making. The methods and materials will vary depending on what style of washi you’re going to make, because Japan’s various regions each have slightly different different techniques. For the sake of covering all bases we’ll keep this a little more general. Harvesting: Firstly you need the materials for the paper. Most washi paper uses kozo, and mitsumata, two shrubs that are generally cultivated, and gampi which is typically wild. Usually these are harvested during the colder months of December and January. Steaming, stripping and selecting: To separate the parts of the plants you need, the branches must first be steamed. Once it’s soft and ready to strip, the bark is carefully removed and dried. The dry bark is then boiled, and any impurities are spotted and removed. Following that the pre-paper solution is beaten by hand to loosen fibres before it becomes a sheet. Sheeting: This is probably the most recognizable part of the process of making washi. This is when the pulpy paper solution is starting to take its final shape, albeit in a very loose form. From here the paper pulp is spread out onto a mat, and the mat is shaken to help the fibers become entwined. Once a desired size and thickness is reached, the excess water is poured off from the solution. Final steps: After being left to dry overnight, the almost ready-to-go sheets are subjected to a few more aesthetic steps before they reach their final washi form. The paper is pressed to remove any extra water, the sheets are then separated, brushed to remove any invasive textures and left again to complete the drying process in the sun. These large dry sheets form the foundation from which the washi is cut. What is Washi Used For? In times gone by washi was used for practically everything modern machine-made paper is used for. Obviously as a handmade product, washi is more expensive than regular paper, so these days it has been displaced from some areas. However, there are still many purposes for which nothing but the most beautiful washi will do! Art: Many traditional artforms in Japan rely on washi. If you read our guide to Nihonga painting for example, you’ll see that using washi rather than canvas or modern paper is one of the elements that define this characteristically Japanese style. The particular texture of washi is essential for sumi-e (ink painting) too as it allows the right flow and absorbtion of the watery ink. For some artists, such as Tetsuya Nagata, the washi paper itself is the art in these incredible pressed washi sculptures. Bookbinding: Japan is a literature loving nation, so it’s no surprise really that washi and publishing go hand in hand. Rather than being used on the inside pages, washi is most typically used for book covers due to its durability and flexibility. Where to See Washi Paper Being Made? Washi no Sato (which in english literally translates to the village of washi paper) is located in the Chichibu district in north-west Saitama, a nice day trip from Tokyo. The area produces hosokawa-shi, a style of washi paper that has been designated as a UNESCO Intangible Cultural Heritage. Here you can wander through the town, witness washi being made and pick up some paper to take home. Echizen Washi Village is another important washi destination situated in Fukui Prefecture, just north of Kyoto. The village has been producing paper since it was introduced to Japan over 1,300 years ago. There are a number of paper-making factories scattered throughout the area, but one place you can’t miss is the Udatu Paper and Craft Museum, located in a mid-Edo era papermaker's house. For more information on tours and where to visit, be sure to check out Echizen Washi Village’s comprehensive website. Finally, for a different look at localised washi production, visit Mino City in Gifu Prefecture, as it’s one of the last handful of communities still carrying out the ancient traditional craft of hand-making paper. What makes this town unique is the old style architecture you’ll find in Mino-machi, the town centre. Even if you have just a vague interest in Japanese history and art you can easily spend a weekend wandering through the streets and visiting all the perfectly preserved houses and stores, many of which sell washi products, tools and other related paraphernalia. Where to Buy Washi Paper? If you’re in Kyoto, be sure to visit Kamiji Kakimoto, situated in the downtown area. This site is considered to be home to one of the best washi paper stores in Japan. Here you’ll find a broad selection of art and craft products including a very healthy stock of washi paper. Another downtown Kyoto location is Wagaminomise Morita Washi. This incredibly well-stocked store sells everything from high end designer style washi to rough, lovable textured and rustic paper. If you’re outside of Japan, one of the best places to pick up some paper is probably going to be online. The Awagami Factory, currently run by the 6th generation paper master, has a wide selection of washi paper and other specialty papers including machine made mulberry papers, some of which are ink-jet printer compatible, perfect for contemporary uses (invitations, decorations etc). You can order online from Japan, or check out their list of suppliers across the world. Another site worth bookmarking is Washi Arts, home to broad selection of paper products, many of which can be shipped within the US for just $5 or internationally for a slightly higher fee. Where to Find Out More About Washi Paper? If you’re still hungry to learn even more about the history, uses and incredibly unique forms of washi paper, here’s a run down of some of the best washi museums in the country. Happy paper hunting! 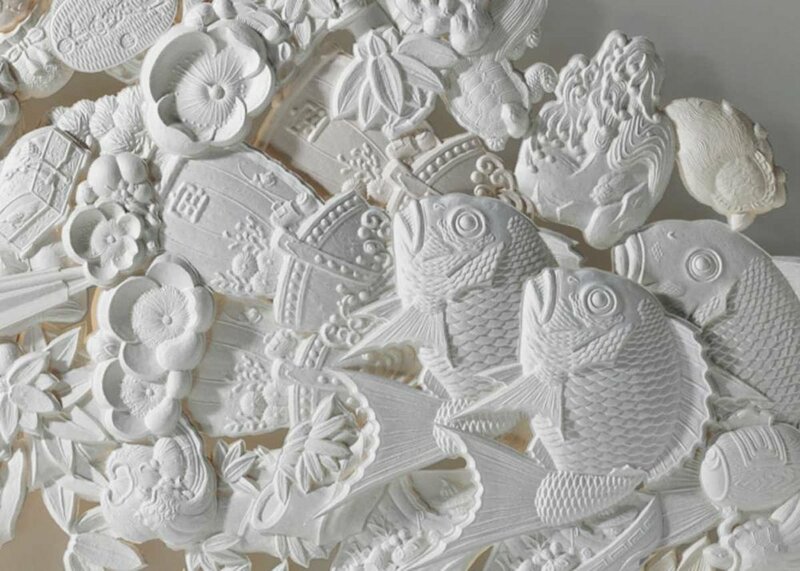 Ino-cho Paper Museum: Found in Kochi prefecture, this museum covers quite comprehensively the history of Tosa Washi, a local form of paper making that came into mainstream popularity over a thousand years ago. Today there are over 300 variations of Tosa Washi, many of which you’ll find here. 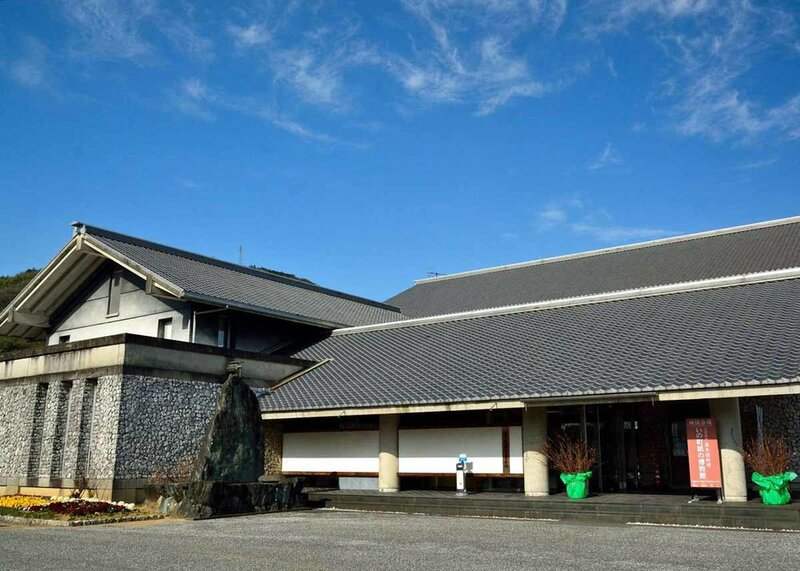 Mino-Washi Museum: The Mino-Washi Museum is Mino City’s main paper gallery. Beyond the historical significance of washi, here you’ll find detailed displays covering the contemporary times and the future of washi, as well as in-depth information on the techniques behind Mino washi production. Paper Museum: This is Tokyo’s biggest paper museum, and one definitely worth visiting if you’ve got a little free time in the city. In addition to a well stocked store and impressive displays, this museum regularly runs paper making workshops. Classes are typically held on weekends, but you can visit the website for more details. Is there anything more you’d like to know about washi? Let us know in the comments below.